Repeating fast radio bursts in space are one of the greatest mysteries in astrophysics recently. Scientists are trying to decode the origin of the radio burst, known as FRB 121102. Now, scientists are a step closer to solving it after recent observations delivered new information regarding the place from which they originate. Nevertheless, they still need to comprehend what is the cause of the radio waves. At the 231st meeting of the American Astronomical Society in Washington, D.C. from Jan. 8-12, at a press conference titled “Peering Deeper Into the Lair of the Repeating Fast Radio Burst” on Wednesday, scientists have unveiled that the origin of FRB 121102 is most likely tucked in at a location with a great magnetic field. Such a kind of magnetic field is known to exist near massive black holes. They concluded this, based on two different observations of FRB 121102. One observation was made by the Breakthrough Listen team at University of California, Berkeley (UC Berkeley), with the Robert C. Byrd Green Bank Telescope in West Virginia. The other team is Dutch astronomers that used the William E. Gordon Telescope at the Arecibo Observatory in Puerto Rico. Repeating Fast Radio Bursts: Is it a black hole? 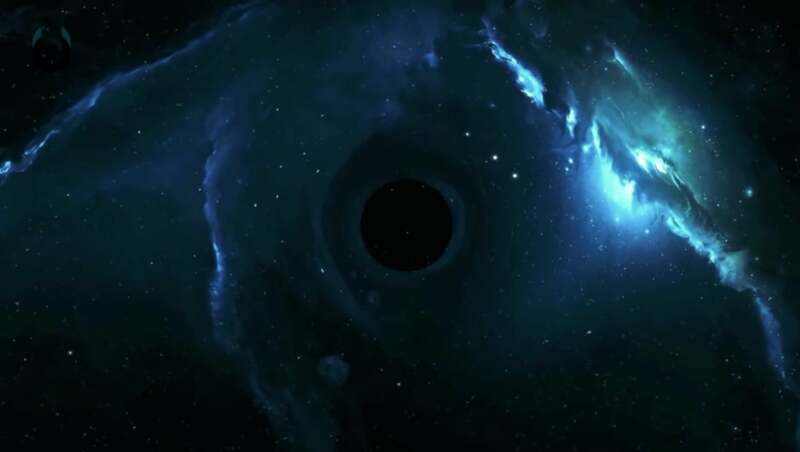 Both teams in their observations saw that the radio waves were almost 100% linearly polarized, which is rather unusual, as that could be only seem around environments with an extremely high magnetic field, such as what surrounds massive black holes. Massive black holes could be at least 10,000 times the sun’s mass. “Fast radio bursts are brief, bright pulses of radio emission from distant but so far unknown sources, and FRB 121102 is the only one known to repeat: more than 200 high-energy bursts have been observed coming from this source, which is located in a dwarf galaxy about 3 billion light-years from Earth,” written in a statement from UC Berkeley. The repeating fast radio bursts of FRB 121102 last anywhere between 30 microseconds and 9 milliseconds. That indicates that the source object could be about 10 miles across. That size fits the size of neutron stars. Still, aside from the accreting black hole and a magnetar, the repeating fast radio bursts could originate from a combination of a magnetar and the nebula of the star which exploded in order for the neutron star to exist. Nevertheless, it could be the interaction between a magnetar and the magnetic wind from a pulsar. “At this point, we don’t really know the mechanism. There are many questions, such as, how can a rotating neutron star produce the high amount of energy typical of an FRB?” UC Berkeley postdoctoral fellow Vishal Gajjar, who was one of the conference speakers and a coauthor on a paper, said in the statement. “This is exotic. If we had one of these on the other side of our own galaxy — the Milky Way — it would disrupt radio here on Earth, and we’d notice, as it would saturate the signal levels on our smartphones. Whatever is happening there is scary. We would not want to be there,” James Cordes of Cornell University, another coauthor on the paper, said in a statement in the Cornell Chronicle on Wednesday. The paper has been titled “An extreme magneto-ionic environment associated with the fast radio burst source FRB 121102,” and was published online on Wednesday in the Journal Nature.